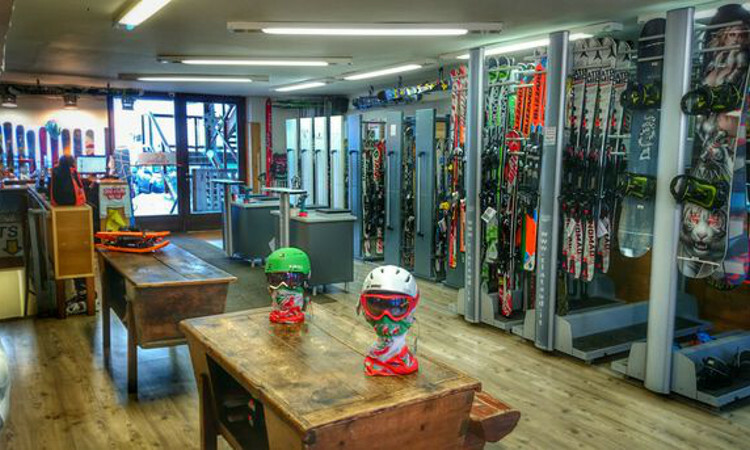 Use Skib to rent skis and snowboards in Sestriere without queuing at the shop: enter your dates here, choose your ski equipment and accessories and collect everything right next to the slopes! Maison Clataud stocks a wide range of products, all prepared to the highest standards!Its strategic location near the slopes makes it the best choice to pick up your skis or snowboards and start skiing right away. How do you hire skis from Skib? Enter your dates and choose your equipment: are you a skier, or do you prefer snowboards?Check out the kit that the shop has and choose the one best suited to your level and your style. Then just finish off with the accessories: Skib also rents boots and helmets. Your sticks are always included with the skis. You can rent a GoPro camcorder to record your experiences, no worries thanks to theft and damage insurance.Skib also caters for fun in the snow for the whole family: You can also rent skis or a toboggan for children. Holidays in Sestriere: useful advice from Maison Clataud. Sestriere is one of the largest ski resorts in the Alps: it regularly hosts the alpine ski World Cup and the Turin Winter Olympics were held here in 2006. The ski slopes are technically advanced, amidst breath-taking scenery.A resort also popular with Italians, who started spending winter holidays here as early as 1930, Sestriere offers foreign guests a chance to visit the beautiful historic city of Turin, capital of Piedmont.